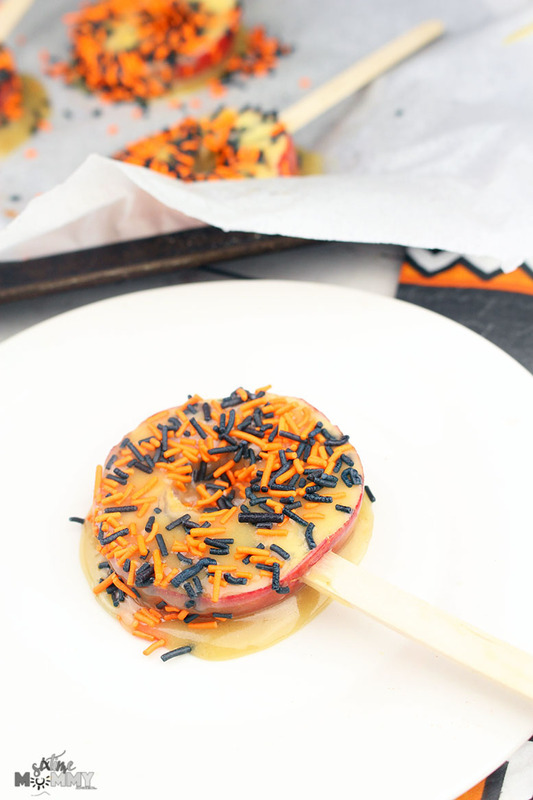 With Halloween just two sleeps away we had some fun on the weekend and made these fun Caramel Apple Pops treats! 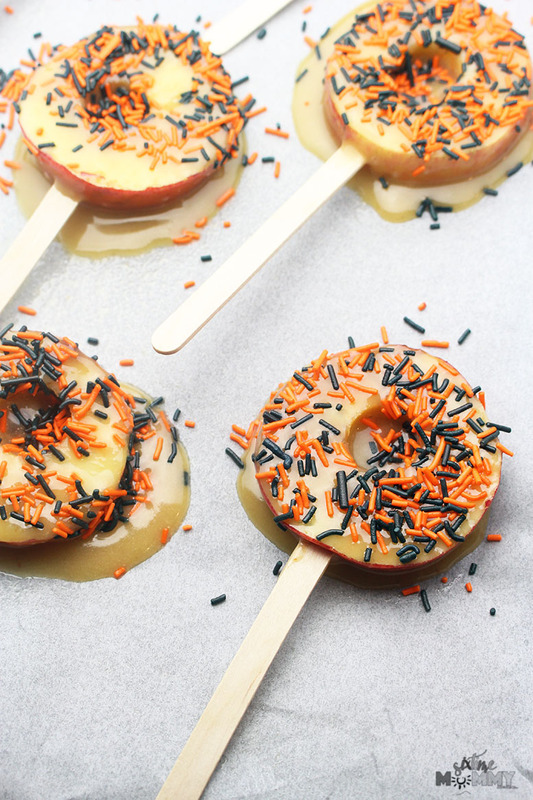 My kids hadn’t ever tried caramel apples before and I know what a pain they can be to bite into so we decided to do the “pops” route and cut the apples into a slice, core them and stick them onto sticks to make them much easier to manage, and eat! 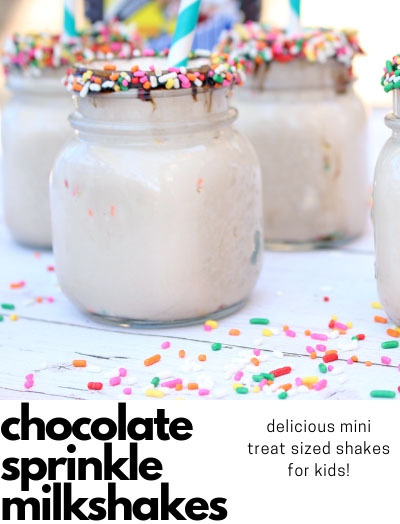 They turned out super cute and really delicious actually. 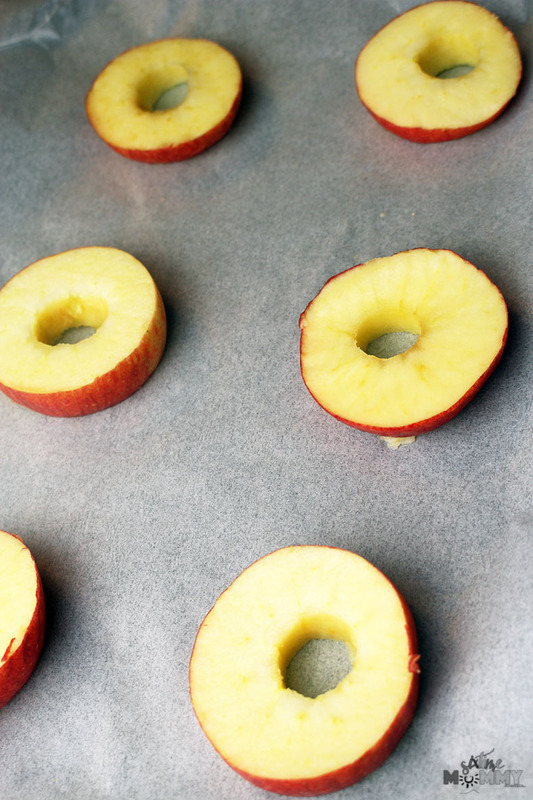 We didn’t use super hard caramel either, so you have to freeze them slightly and enjoy right away – which my kids LOVED and made for a nice, cool treat! 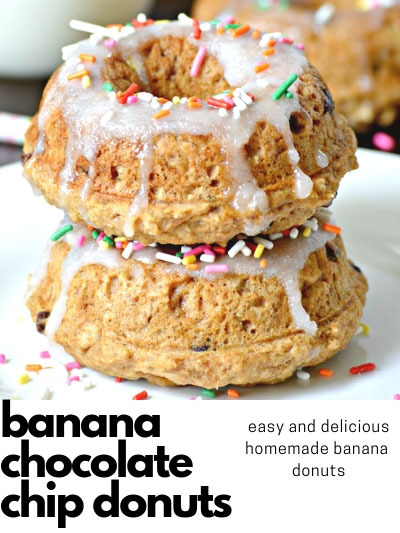 I know Halloween is super close so if you are looking for a quick, easy and fun treat to make these would be a great idea – even for right after trick-or-treating! 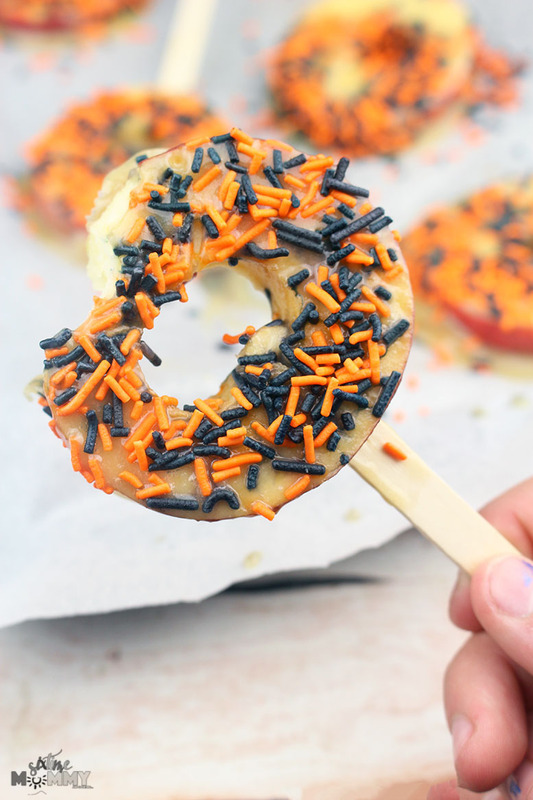 Given the fact that Halloween only comes around once a year, and although the kids get TONS of candy I don’t mind them having a fun treat like this one to celebrate the day. I’m actually really looking forward to staying in with the toddler and baby, and handing out candy to the trick-or-treaters! I plan to take my older girls out once dad gets back home with the smaller kiddos, so it will be a new tradition this year for us. 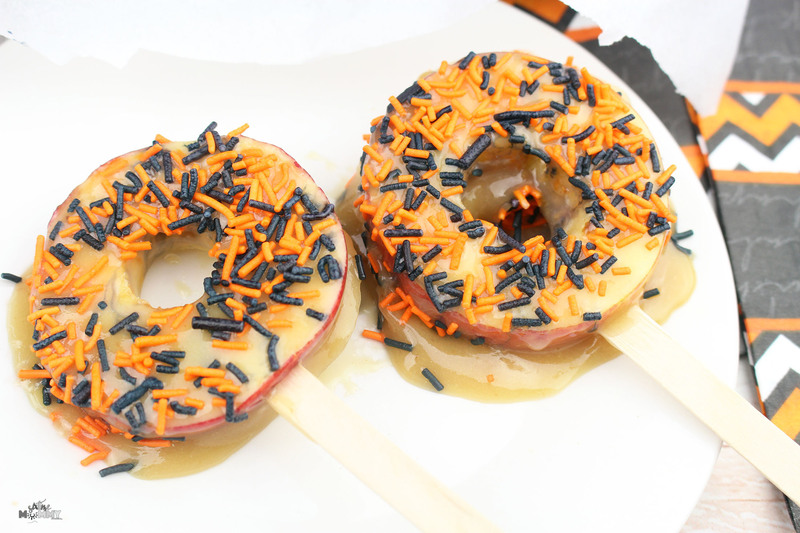 We can enjoy some caramel apple pops while we wait and hand out candy to the little ghosts and goblins that come to our door. What are you doing this Halloween? 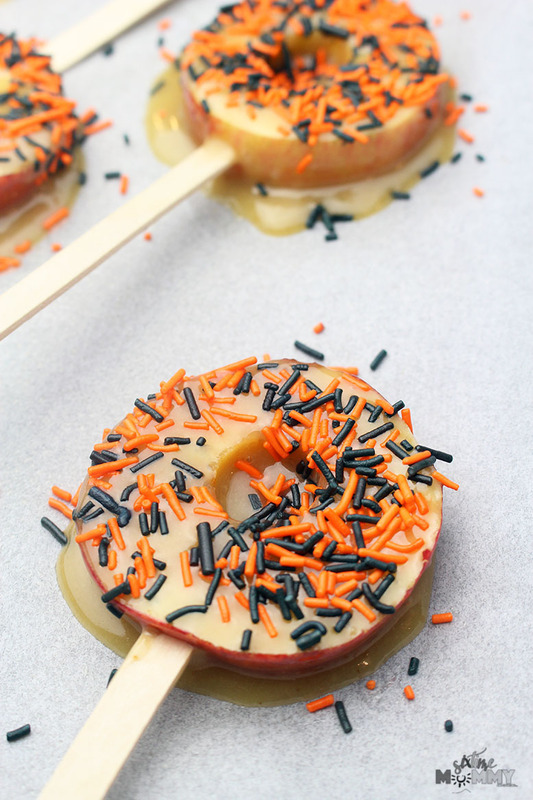 Any fun treats planned for you?